The history of games in digital journalism goes back many years, but what can games offer journalism in today’s era of greater focus on collaboration and engagement? From October 20-22, I co-facilitated a Newsjam at the University of Miami that invited participants to create news games that would tell the news in a fun way, model new processes for news production, and offer insights into how news companies can rethink audience and delivery. The event is part of an ongoing American University project that aims to transform journalism leadership and attitudes towards engagement through games. One of the first popular news games was Wired’s 2009 Cutthroat Capitalism, which lets players learn about piracy by taking on the role of a pirate. Since then, many publishers have experimented with embedding games in journalism. The American University Game Lab has an archive of news games here. "These games challenged our ideas about how to interact with a news story." Publishers can still learn a lot from games about engagement, community and collaboration. Lindsay Grace, director of the Game Lab at American University, and I co-facilitated a Newsjam – a variant of a hackathon – meant to demonstrate some of those lessons. 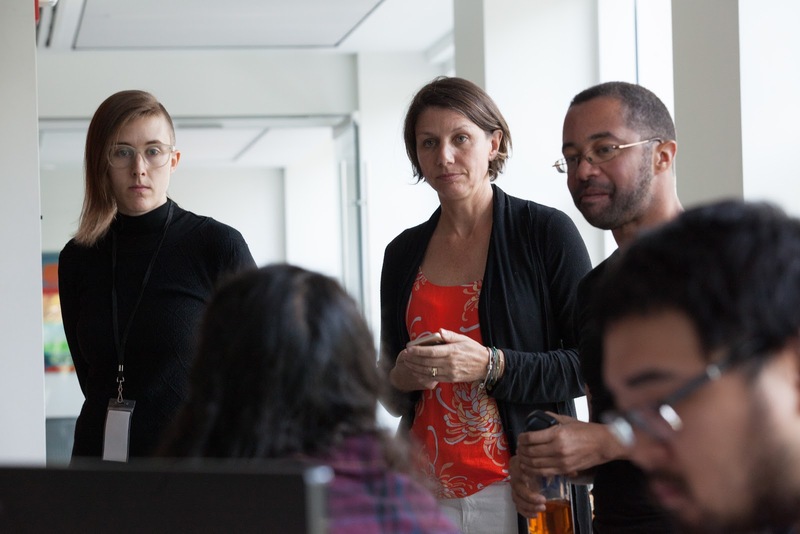 In a Newsjam, participants form interdisciplinary teams and have a limited amount of time to create a working prototype for a news-related game. 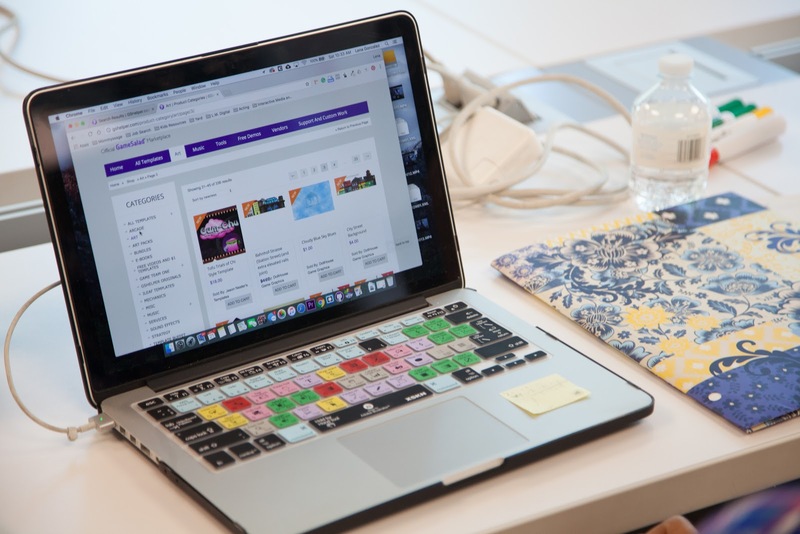 The Newsjam grew out of the two-year-old JoLT initiative at American University, a program that uses games to demonstrate new lessons for publishers. The team has published some of their learnings here, with more to come. My background is in journalism, so I was to advise teams as to their games’ news value. In my opening presentation, I asked the participants – a group of about 20 graduate students, gamers and game designers – what journalism and games each do well. 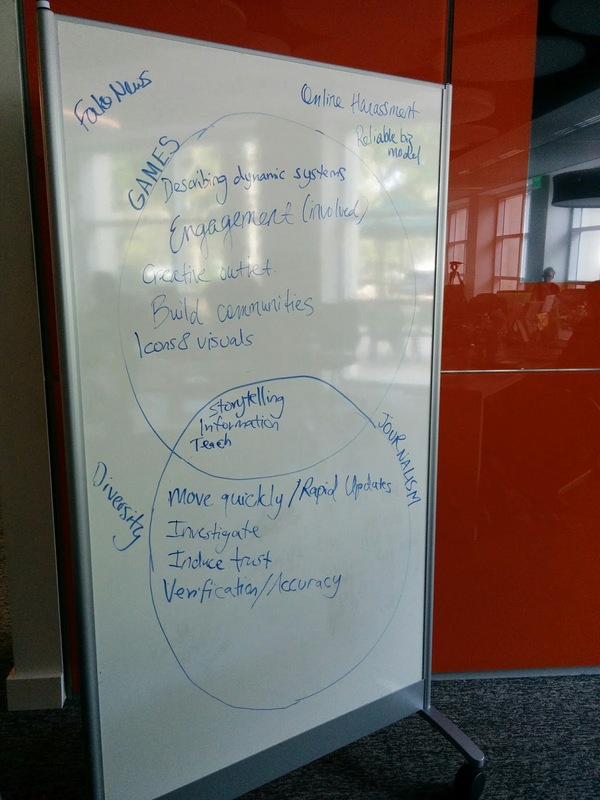 Together, we filled in one of those classroom staples: a Venn Diagram. Our Venn diagram. Photo by Anika Gupta. According to the participants, journalism got points for speed and accuracy, while games got credit for building communities, engagement and describing dynamic systems. Both fields, at their best, can excel at storytelling, while neither seems to have mastered diversity or online harassment (at least, not from our participants’ perspective). Can teams produce games at a pace that keeps up with the 24/7 news cycle? News articles are supposed to inform, but do they have to be serious in tone to succeed? How can the news production process emphasize moments of surprise, discovery and learning? How can we “keep it fun,” as Matt Carroll suggests in this post? Can games create an interactive, two-way experience for news consumers? Finally, can games help news organizations understand or rethink their communities in useful ways? For large mainstream news organizations, one of the challenges in building community has been how they conceptualize their audience, which influences what they build. Questions like “Whom is this game for? Why are they playing it? How?” can break large audiences into smaller, more accessible communities. Some of the mentors. From left to right: Artist Joyce Rice, journalist Maggie Farley and professor Lindsay Grace advised students at the Miami Newsjam. Photo by Cassandra Keith. Most of the teams at the Newsjam chose to create games that explored current news issues. Participants got advice from mentors, gave interim presentations, and refined their prototypes and their art. They used tools like GameSalad and Twine to help them build their narratives. Teams used tools like GameSalad to build their prototypes. Photo by Cassandra Keith. 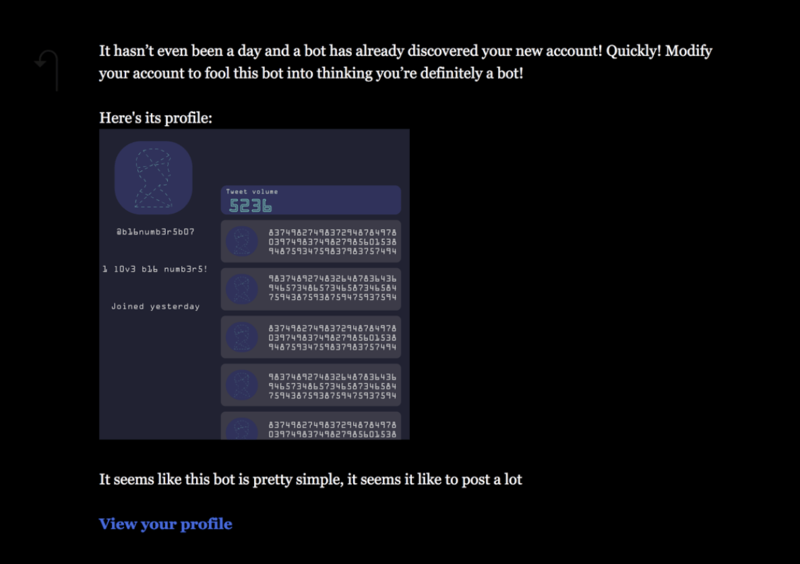 A screenshot from I am a bot, courtesy of the creators and Lindsay Grace. The winner was “Rising Tide,” a climate change game. Players work together to beat global warming. They perform actions like “planting trees, throwing away trash and preserving water,” the creators write. If they don’t work together, the glaciers melt. 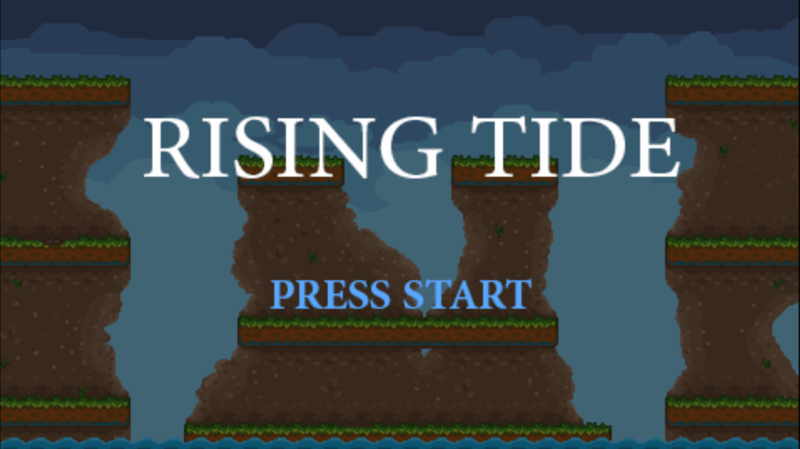 The title screen from Rising Tide, courtesy of the creators and Lindsay Grace. The pixelated art is part of the game’s aesthetic. 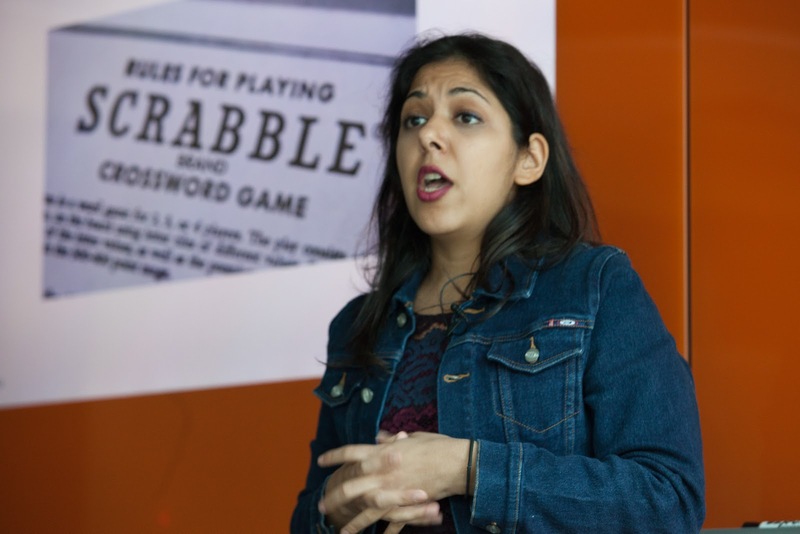 Finally, some of the mentors got together to create “Hurl the Harasser,” a game that tackles sexual harassment, a topic that might not initially seem like a great match for the game genre. The jam answered a few of our initial questions: the teams worked fast, they had a fun time, and they produced a few enjoyable games (although they might need some refining). These games challenged our ideas about how to interact with a news story. But what about understanding audiences better? It would take a deeper commitment, field testing and user research to address that question. The JoLT team is working on some of these questions – they plan to publish learnings from year two of their project soon. But news organizations can also do this type of experimentation and in-depth testing, if they have the will. Anika Gupta has been a product manager, user researcher and travel writer. Her product work focuses on collaborative journalism. She lives in Washington DC. You can find more info about her at digitalanika.com or @DigitalAnika.